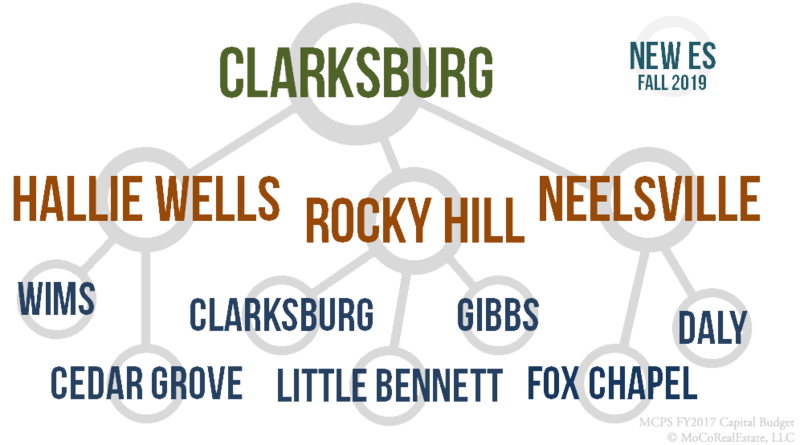 The Clarksburg Cluster borders Frederick County and the Poolesville Cluster, Damascus Cluster, Gaithersburg Cluster, Watkins Mill Cluster and Seneca Valley Cluster in Montgomery County. Homes in Boyds, Clarksburg, Damascus, Gaithersburg (zip 20879) and Germantown (zip 20876) articulate to the Clarksburg Cluster. The median home price in the Clarksburg Cluster is around $370,000 making it a moderately affordable cluster in Montgomery County. 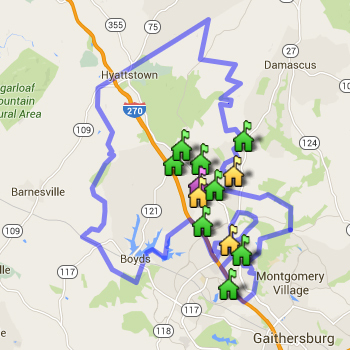 See all homes for sale and homes by price break in the Clarksburg Cluster below. Always verify a home's school assignment directly with MCPS.